Happy Monday all. 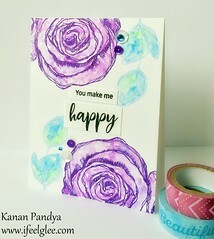 I am back with another card. Love these colors, so pretty, isn’t it?? I always wanted to participate in Runway Inspired Challenge and today finally I made one card. 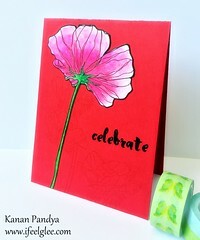 Also entering this card for A Blog Named Hero’s – Free Style Challenge. I used Hero Arts Stamps (CL351 & CL439), I applied some Memento (Rose Bud) ink on my acrylic block and painted the dress using my paint brush with some water, I white embossed the branch, used two wood veneer birds and applied the same ink on them and applied silver stickles on leaves, branch, birds, dress and punched butterflies. 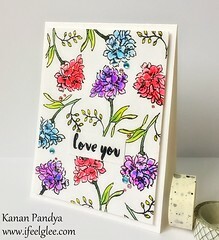 I used BasicGrey’s paper for the sentiment, doodled frame with white gel pen. 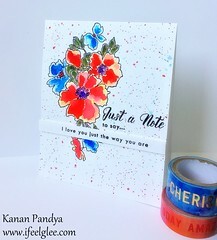 Cute card and great job with the trigger picture. Thanks for joining us this week at WAW. 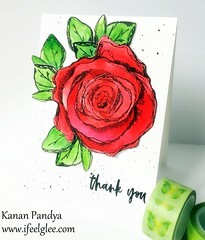 Great interpretation of the runway, its sooooooo sweet, love the sparkle everywhere, fabulous card Kanan, thanks for sharing and have a great day..
Hi Kanan, that is the sweetest card – I just love it! 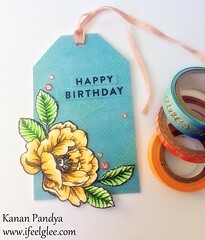 I like your wordplay and that cute little dress on the clothes line – just fabulous! thanks for all your lovely comments on my blog. Texas was very, very nice – now I am back in the NE in cold drizzly rain, yuck…..
Hello Kanan! I adore the pretty and cute scene that you created! 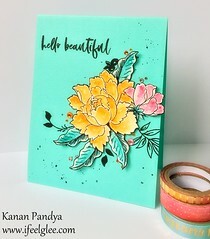 Beautiful pairing of stamps for sure! Fabulous take on the runway photo! So glad that you join the fun with us over Runway Inspired Challenge! 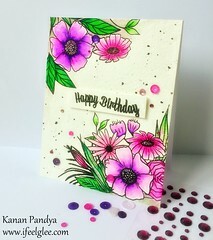 Pink and sparkle, a perfect combination for a girly card. Thanks for playing along with us at A Blog Named Hero. So cute! I like the black background/white accents. 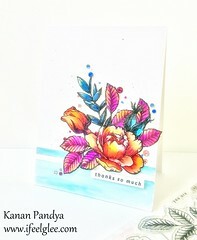 Hey Kanan, Congrats on your heroine mention at A blog named hero for this sweet, clever and creative card!!! 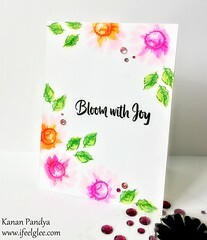 I love your charming card…especially the glittered birds and butterflies! Thanks so much for joining us on the Runway! Congrats on your mention at ABNH!! Well deserved and well done! !